Although this book is usually listed under tactics, it is appropriately sub-titled “Learn to Play Chess Like Garry Kasparov” because the book is really about the middlegame. Henley’s annotations are done mostly with words and just enough variations to illustrate the point…not reams of engine generated variations. The many diagrams also use arrows to illustrate themes…a great help in visualizing what’s going on. At the end of the book there are exercises from Kasparov’s games. The book begins with a biography and a very brief outline of Kasparov’s openings. The opening section adds very little of value to the book and can be ignored. What I like is Henley’s approach to commenting on the middlegames. 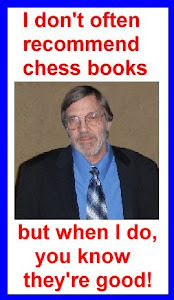 He lists the significant features of the position in clear and simple language and that is a BIG plus because the thoughts of super-GM’s are not easily understood by average players. Henley has a knack for making things clear though. What you actually get is 228 tactical puzzles to solve and all or part of 40 of Kasparov's games. A real gem and highly recommended for all players, especially for those rated 1400-2200, who want to learn something from a player whose games are generally way too complicated for mortals to understand! I have read The King and two, Burgess and Mednis, are in my library. I'll get them down and take a look in the next few days. Thanks! I am trying to decide which one to start next!